Hi everyone! 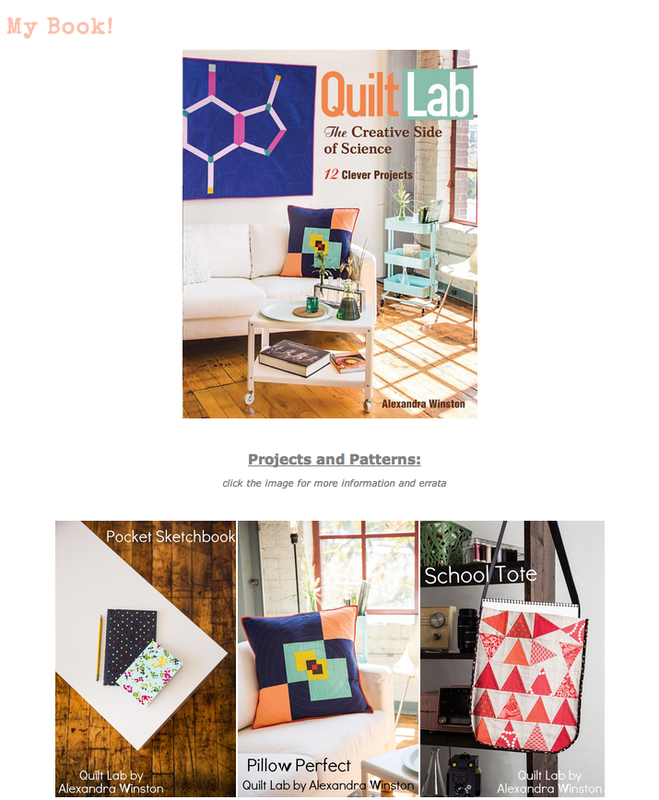 I have a great line up of people that will be showing you just how versatile the patterns in Quilt Lab are. 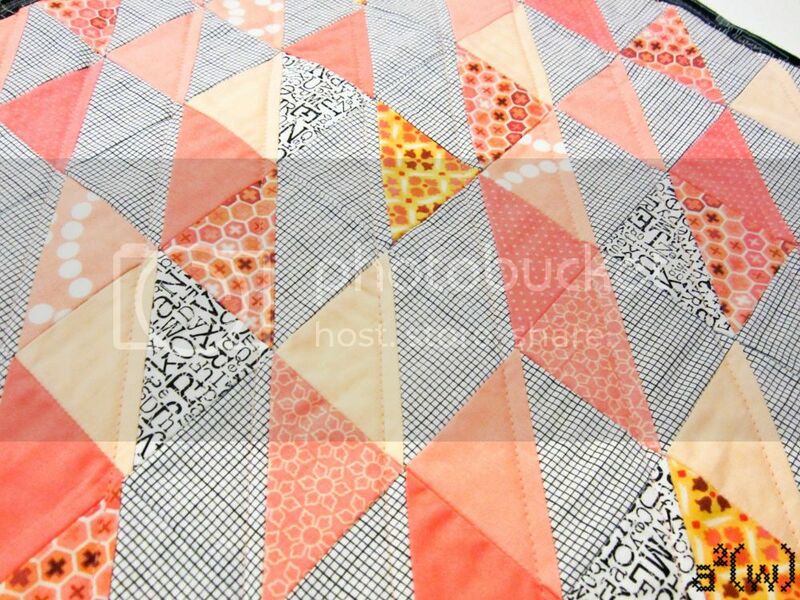 And I'll be poping in to show you some of the quilts that didn't make the cut. 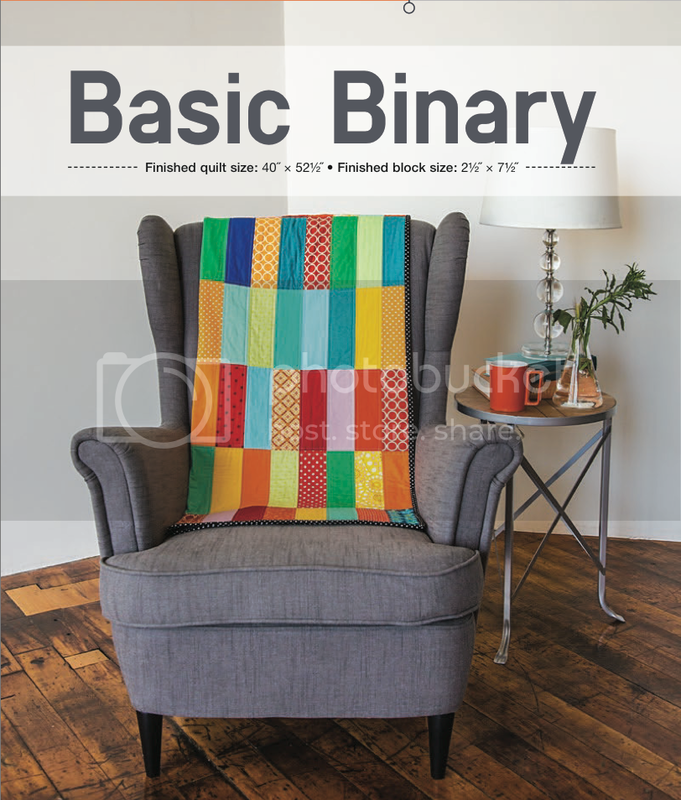 This week we're talking about Basic Binary. I didn't notice until the book had been printed that they left out the main table that goes with the pattern. Sigh. :( I'm sorry! It's bound to happen, so let's talk about where you can find these kinds of goodies (and errata). Up at the top there is a tab at the end that says "My Book". Once you are there You'll see all 12 project pictures. Click on the picture for more details about each project. Since we're talking about Basic Binary, here is the table. I used washi tape to tape it to the back inside cover. 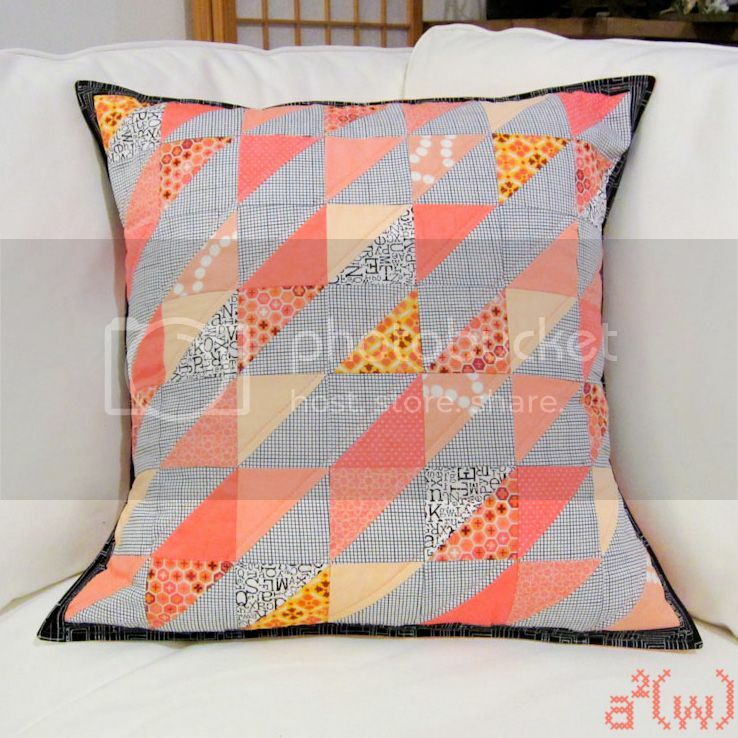 I wanted you to see how you can take the ideas for each pattern and really change them. In the book I used rectangles in warm and cool tones to represent the 1s and 0s. This pillow says "Winston". As you can see, this is nothing like the quilt in the book! I changed the block shape and color scheme. Here what distinguished the 1s from 0s are the direction of the HST. My advice for this pattern is to check your chart as you go to make sure you picked up the correct piece. I noticed a mistake in my layout as I went to sew - close call!! March 4 - Here we are!! April 1 - I have a free bonus pattern for you! Great idea - you can give everyone a hidden message as a gift. They'll never know what that cushion really means...bwahaha! so fun - I love the binary table!